Report from the LSC Roundtable: Choose Your Own (Learning) Adventure | whitespace. I recently had the privilege of participating in an invitation-only round table series hosted by Learning Spaces Collaboratory (LSC), perhaps better known to some of you by its former name, PKAL. Jeanne Narum, Founding Principal, assembled five regional round tables around the country to discuss our nation’s biggest education questions. To get at the heart of education innovation, the invitees were comprised of educators from the nation’s leading institutions, as well as architects from the most distinguished firms in education design. (1) Each firm submitted a project overview that raised tough questions relevant to the diverse and challenging landscape of U.S. Education. The issues raised were wide-ranging and provocative, and led Gould Evans to identify several key themes based on our own contextual experiences in the field of education. Within these topical areas, creative design can begin to make an impact and lend clarity to such difficult questions. Over my next few posts, we’ll dig into what Gould Evans feels are the top six areas of inquiry and key issues for us to address in education design over the coming decade. We’ll begin with the notion of “choice”. 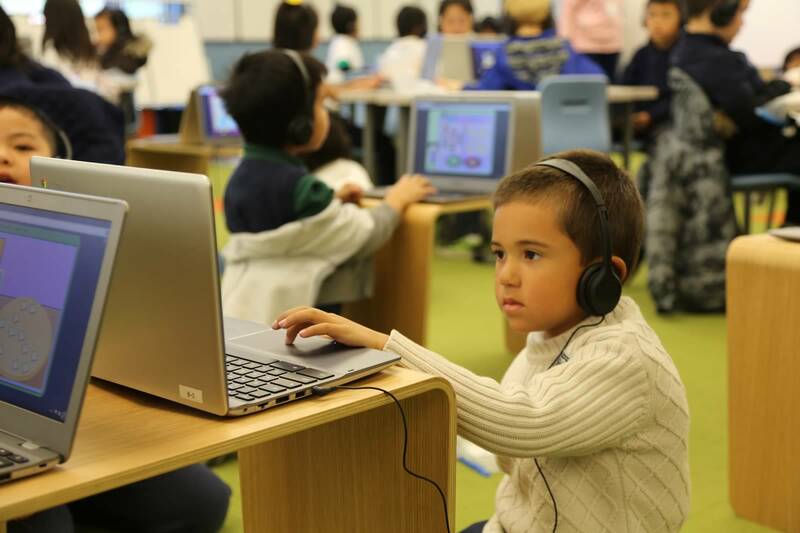 The Learning Center at Burnett Elementary offers a flexible learning environment that allows students to choose the area that appeals most to them (image credit Nate Mahoney). CHOICE. How important is the role of choice in a student’s education experience? What should “choice” look like as a design strategy? Why is “choice” important? Offering choice doesn’t have to translate into a radical new teaching and learning method – at least not right away. Choice can occur in a structured learning environment, as well as less structured, self-directed environments. 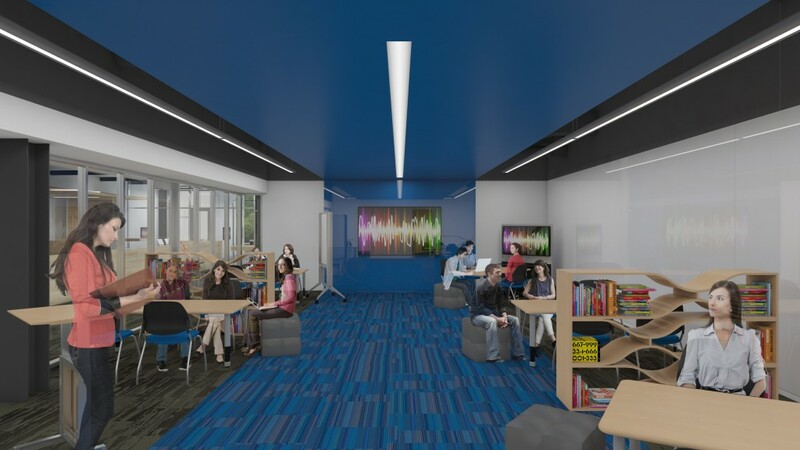 Through our post-occupancy studies of newly completed projects in the Silicon Valley, we observed innovative demonstrations of student choice that are positively impacting outcomes. Students that were allowed to reconfigure their own personal learning environments within shared Learning Centers did so very quickly, and immediately set to work on a structured lesson. Any of the teachers that had been hesitant about losing teaching time due to “reconfiguration time”, could easily see the net gain of productivity outweighing “lost instruction time”. Students were highly engaged and seemingly able to stay focused for longer periods of time! Many factors play into this, not the least of which is the students’ ability to tailor their setting to align with their personal learning style. 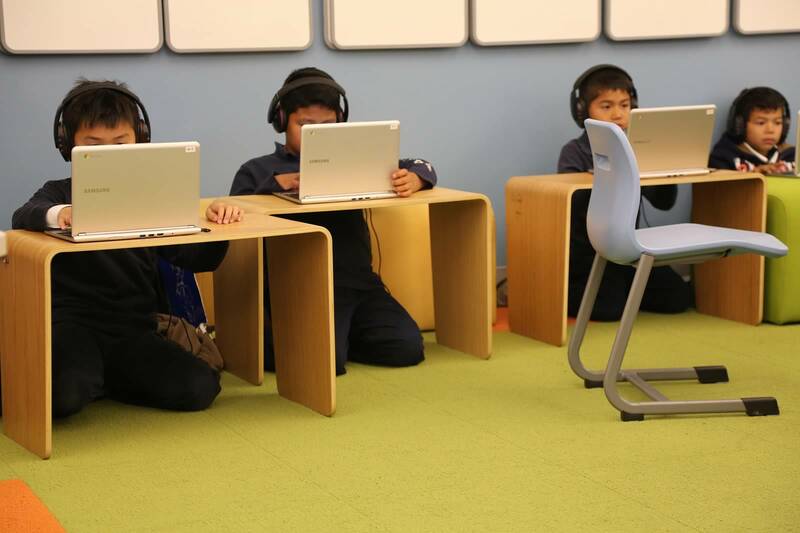 Burnett Elementary students can personalize their learning environment by reconfiguring the Learning Center furniture to suit their individual learning styles (image credit: Nate Mahoney). The new Learning Center at Burnett Elementary offers students a flexible, personalized learning environment, allowing them to choose from variety of different spaces and seating arrangements for working on assignments. 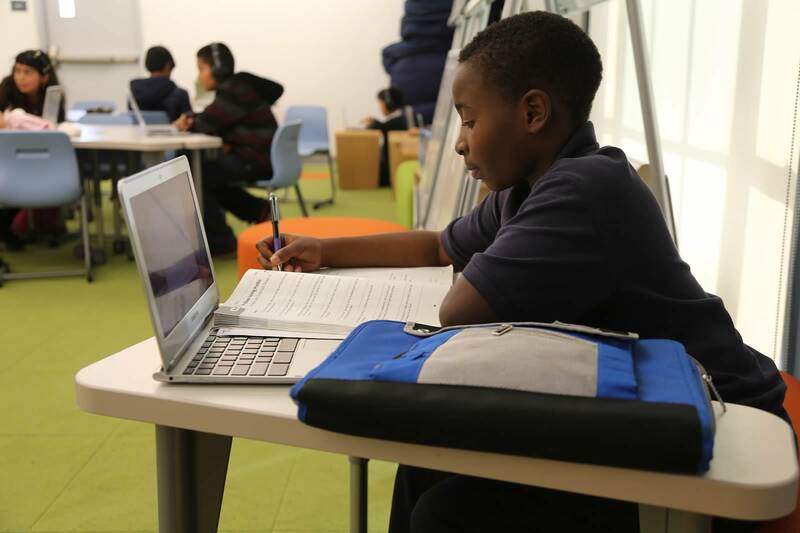 A Burnett Elementary student chooses a quiet corner of the Learning Center to complete his assignment (image credit: Nate Mahoney). Beyond our observations within our ethnography, a broader sample set of 200 students surveyed confirmed this theory as well. 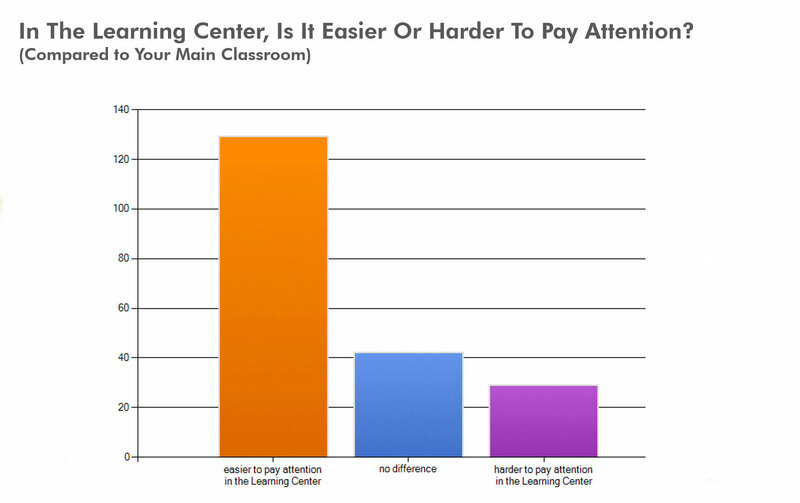 Our Post-Occupancy Survey for the MUSD Learning Centers demonstrated that choice increased student engagement. View our full POE summary here. Offering choices early in students’ education experience translates up, benefiting students’ study abilities in secondary and post-secondary ed. Stories from our own STEAM Studio correlate closely with this idea, and we’ve seen a number of easily distracted students become highly engaged simply because we offered them the option to develop projects of their own personal interest. We need to look only as far as Bill Gates, Mark Zuckerberg, or Steve Jobs to see how choice and ability to pursue areas of personal passion ignited incredible potential based on individual areas of interest. If the notion of teaching courses in entrepreneurialism is deemed ineffective(2), then allowing an education system that embeds personal choice, supported by professional mentoring and encouragement, is that much more important to sustain strong entrepreneurial capacity in the U.S. 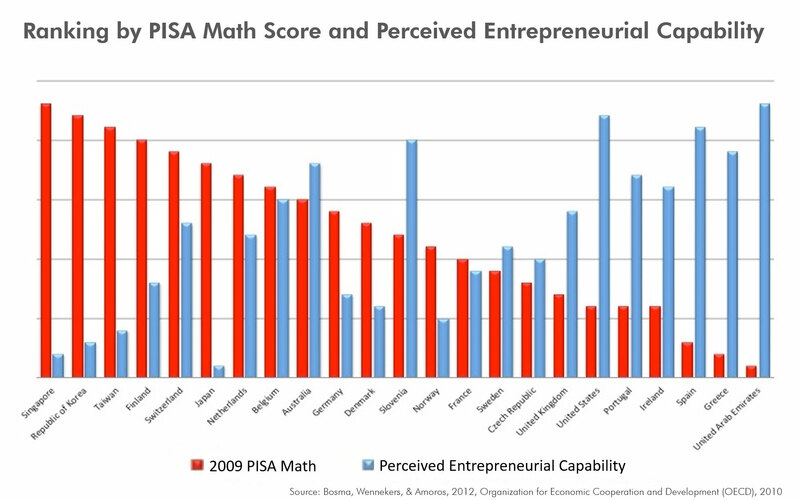 The graph above indicates there is no correlation in student performance on assessment tests and developing strong entrepreneurial capacity that is important to the economic growth of our country. We’ve seen this entrepreneurial trait in students directly, as a result of choice, in our recent work with the Missouri Innovation Campus. Students stated; “I love coming to MIC because I can hang out with like-minded students, and work with my friends on projects that we’re all excited about.” This testimonial served as our inspiration for the design of their new open learning environment which emulates the attributes of an innovative workplace for high school and college students. Within each department, students can move from space to space based on the activities they’re engaged in. There is a spectrum of spaces to support a variety of learning styles in this innovative program, and this skill set of leveraging choice in self-directed learning was strongly articulated as a need by the business partners that host these students in 3-year internships tied to their credit requirements. Without choice in the learning experience, students have a more difficult time developing the skill set needed for “Career Readiness”. 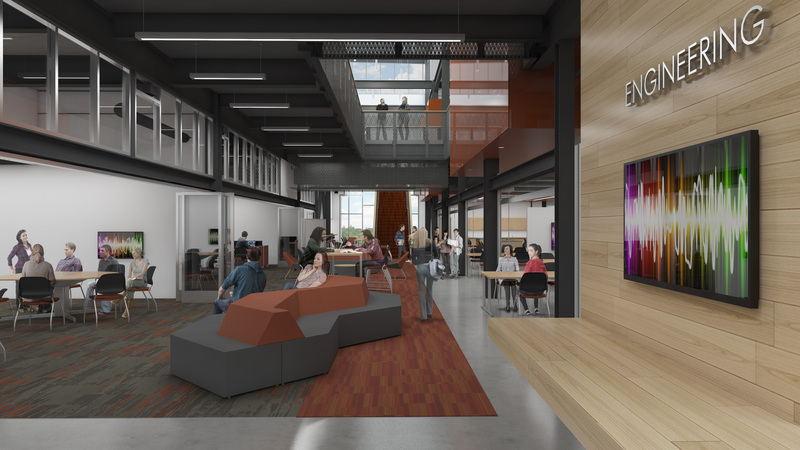 The Missouri Innovation Campus will replicate the modern workplace and promote interdisciplinary collaboration (image credit: Gould Evans). Learn more about this innovative program at here. What other outcomes are influenced by student choice? Quite a few! Choice can impact how we learn, where we learn, when we learn, with whom we learn, and more. And while choice can be integrated into a variety of learning approaches, there’s one consistent aspect: choice looks messier! It feels “out of control” according to many teachers, and typically, the more freedom of choice we offer, the more hackable the learning space needs to be. This topic also rose to the top of the LSC round table discussions; we’ll get into the challenges of flexible space and user commissioning in following posts. What do you think about offering students choices in the learning process, including choices about how their learning environment looks or feels? Share your thoughts with us below! (1) Attendees included: Gould Evans, Perkins + Will, Gensler, EYP, Hollabird & Root, Ayers Saint Gross, Payette, Shepley Bullfinch, Stantec, HOK, Lord Aeck Sargent, SOM, SmithGroupJJR, CO Architects, and others. I think the challenge is to get designers to think this way along with faculty/teachers with preconceived ideas/agendas to take a step back and really understand the issues with current pedagogy. You have to build trust and create a culture with a small contingent of like minded individuals that can influence a larger audience. I agree 100%. And I believe the most compelling approach to help faculty consider different approaches to teaching and classroom management is from the evidence of their peers – the colleagues they respect and relate with. I’ve met very few teachers who believe architects can tell them how to teach more effectively – fully understandable. But our value as designers is to help expand horizons, and help enlarge communities of practice within the teaching fields so they can see what’s possible, and what’s effective. (Starting in small groups like you suggest.) And as designers who dwell in the research of education, we can help academics understand the value of their built environment toward achieving those goals. One teacher at a time if it’s necessary!